Find My Workspace lists over 95% of the business centres market in Glinton. Simply click Request Quote to check pricing for one office, or Add to Basket for multiple offices. 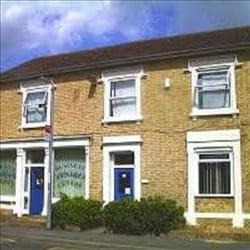 This Business Centre is located in Glinton, a smart rural village which is 3 miles north of central Peterborough. Within the premises there are 9 offices in total, 6 of which are accessed off a communal reception area, and the remaining 3 accessed either as above or from their own separate entrance’s. Glinton enjoys good transport access with the A15 and A16 within a few hundred yards of the property, the A15 providing access to the A47 and subsequently the A1(M). Regular train services to London can be caught at Peterborough (journey time 45 minutes).